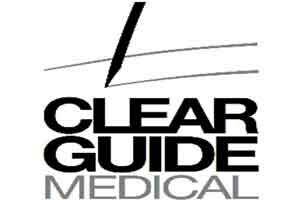 BALTIMORE: Clear Guide Medica has received 510(k) clearance from the U.S. Food and Drug Administration (FDA) to market innovative CT-Ultrasound fusion and image guidance system, the Clear Guide SCENERGY. This device is aimed at helping interventional radiologists and surgeons perform minimally-invasive biopsies and other diagnostic and therapeutic procedures through an intelligently integrated display of fused ultrasound and CT images. The system is sold as an accessory to most ultrasound machines. Working in collaboration with partner hospitals, SCENERGY was developed in response to a clear need for simpler multi-modality imaging using ultrasound while minimizing the number of CTs and time spent in the CT suite. By showing the clarity of CT with the real-time visualization of ultrasound, users experience the benefits of both modalities simultaneously. Procedure duration will drop with SCENERGY’s fully automated registration process. Best of all, SCENERGY does not require special needles or new imaging equipment, preserving the customary workflow and maximizing the productivity of existing capital equipment. Clear Guide Medical designed SCENERGY to address the myriad challenges associated with working with CT and ultrasound images simultaneously. Current fusion systems require long and complex registration processes. SCENERGY eliminates this burdensome step through automated registration and robust system fusion, which is continuously updated throughout the procedure. The time required for registration drops to seconds. Moreover, clinical recommendations to reduce CT radiation doses heighten the importance of good ultrasound visualization. With CT precisely overlaid on the ultrasound plane, deep and challenging lesions can be visualized and targeted efficiently. Adding to SCENERGY’s simplicity is the intuitive instrument navigation that overlays the path of standard instruments on the imaging. The ability to lock in a target, then realign the probe from a different angle and find that target with precision can be helpful in a number of situations.